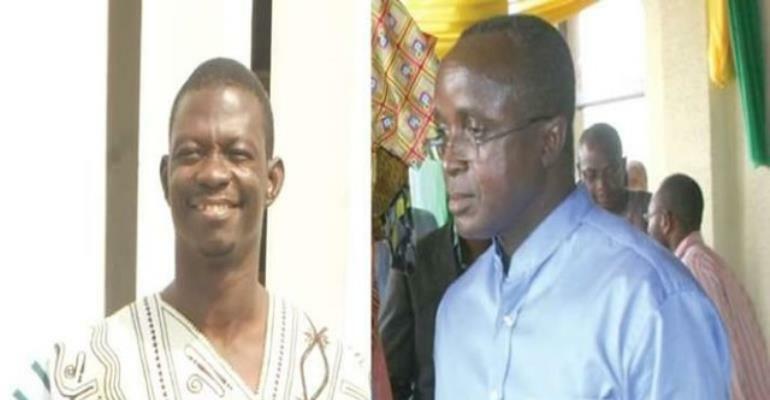 A High Court has convicted a former top government official, Abuga Pele and a private service provider, Philip Assibit, after they were found guilty of 19 counts including dishonestly causing financial loss to the state. The Court was satisfied that the prosecution had proved 13 of the 19 counts Abuga Pele faced ranging from aiding and abetting crime to willfully causing financial loss to the state. His counterpart Philip Assibit who was CEO of Goodwill International Ghana (GIG) was found guilty of six of the 19 counts he faced including defrauding by false pretence. Before sentencing, the legal counsel for Phillip Assibit asked for not more than six months. The lawyer, Kwaku Paintsil, explained the prisons are full and his client is a chief and an entrepreneur who has an "unnumbered children"
On his part, Abuga Pele's legal counsel Abu Juan also asked for not more than six months explained his client is a former Member of Parliament and was actually an MP when the trial started. They believe he lost his parliamentary primaries as a result of this case and that he has a family.